88, passed away on Sunday, April 8, 2018 at his home. He was born on July 9, 1929 in Deposit, NY to the late Merle and Lois Bosket. His brother Ivor Bosket also predeceased him. Dorwin met Anita in MYF at the Bainbridge Methodist Church in 1944, they married in 1949 and moved to Deposit. He worked 8 years for the A & P Stores, 11 years for the RCA Service Co., 1 year at McIntosh Labs and 24 years for IBM, retiring as a manager in 1987. Dorwin owned DGB Woodworks, a retirement/hobby business, building outdoor lawn ornaments such as windmills and lighthouses. Dorwin is survived by his loving wife and best friend of 69 years, Anita; daughter and son in law Linda and Gary Bundas; daughter and son in law Debra and Steve Parmeter; son Larry Bosket; grandchildren Robin (Travis) Riley, Bryan (Jessica) Rafael, Kyle Bundas, Kali Bundas, Kelly Parmeter and great granddaughters Olivia and Abigail Riley. His joy was his family and his hope was in the Lord. 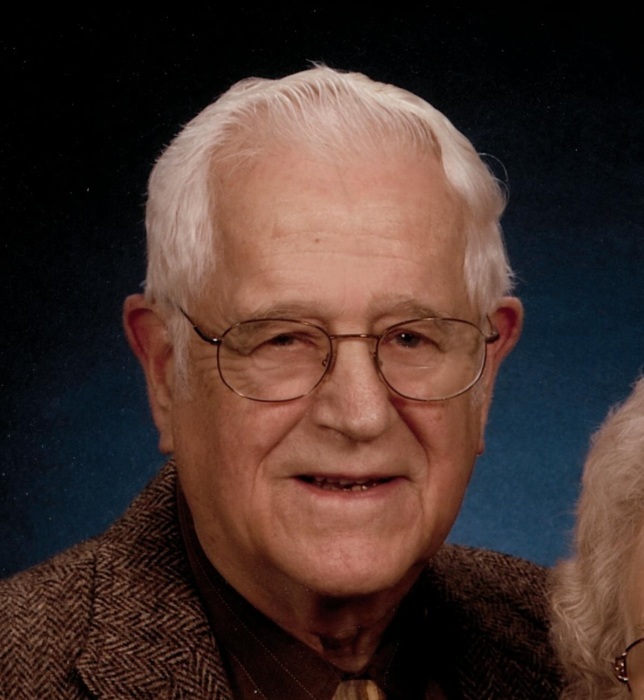 Dorwin was an active member of the First Baptist Church of Johnson City and the Harmony SS class. His life verse was Eph. 2:8&9. “For it is by grace you have been saved through faith and this not of yourselves, it is a gift of God, not of works so that no one can boast.” The family would like to thank Dr. James Holler for taking care of his medical needs for many years. A Funeral Service will be held on Sunday, at 1:00pm, at the Barber Memorial Home, Inc., 428 Main St, Johnson City, NY. Burial will be held in Glen Castle cemetery in the spring. The family will receive friends on Sunday, from 12:00, noon, until the time of the service at the Barber Memorial Home.